It's MEGA MAN to the rescue! Only our robot super hero can save the universe from the evil Dr. Wily and his gang. They're the toughest, baddest robots ever made. Can MEGA MAN defeat FLASHMAN, CRASHMAN, BUBBLEMAN, and the rest? Will the universe be safe again for honest people ... and robots? The complete story of the Nintendo® action-adventure game - with loads of game-solving hints throughout. Thusly is described the thrilling tale of Mega Man 2 ont he back of the book. On the second page into the book is a line saying that the book is not "authorized, sponsored, or endorsed by Nintendo of American Inc" so this is probably one of the least official mega Man products out there. And yet, it exists! Here's some (ludicrously detailed) points jotted down while reading the book. The book mentions that Megaman has no choice but to obey Dr. Light as he is a robot. In the games, robots frequently disobey Dr. Wily. Mega Man was originally created as a tool-using robot, the greatest "ever made." He was programmed that anything put in his hands would be used in the most efficient way possible. Dr. Wily spreads much fear through the "universe" so dr. Light made changes to Mega Man. He programmed him to think of nothing but pure good; and to fight evil. Then he upgraded his tool-using capabilities to include weapons. Dr. light had decided to clone Megaman. He built the "Robo-Transometer XZ-4000" with cloning capability (what else could it do?). It's described as a "box". Instead of cloning him, the machine, impossibly, made Megaman human. However he can still function the same in battle. He'll just have to be "extra careful." Mega Man wields a "Mega Gun". The boss doors lead to towers. Mega Man had to blast the lock apart before he could enter. Metal Man is described as "crafty." He's about as tall as Megaman, wrapped completely in shiny stainless steel, and with a "garland" of spikes wrapped around his head. Mega Man grabs Metalman's Metal Blade from the ground. This is how he absorbs Robot Master weapons. Mega Man has a radio built into his helmet; this is how he keeps in contact with Dr. Light. Each "robot empire" needs a password in order to be assessed. Flashman's "empire" is cold, damn and gloomy with ruins of old buildings all over. It's a world of total silence. Flashman's helper is a massive robot with feet the size of cars. His name is "Mr. Big." He's actually the Sniper Joe in his Ride Armor. Megaman is able to use the Metal Blades against him. E-Tanks are called Energy Barrels in the book. It contains nutrients and vitamins - the same kind as found in his energy pellets. There are little self-propelled flying boomerangs called Boomeroids in Flashman's empire. These are the Scworms. In Flash's empire Megaman uses super strength to lift the boss gate. Flashman himself is described to dash and fire rapidly. Megaman is actually frozen in his tracks by Flashman's weapon (in the games it's an actual time distortion). Megaman can hold the Time Stopper in his hand (likely the gun on Flash's arm). Croakers in the book are immune to Megaman's Mega Gun. Time Stopper also had no effect. There are many pipes you can get sucked into (did F.X. Nine play Megaman 5? IMPOSSIBLE!). Bubbleman himself is described with webbed hands and feel - like a frog. He has his scuba-mask-like helmet in the book. His Bubble Lead is a small bubble that grows ever larger as it heads towards Megaman. It's described as huge and heavy. Bubbleman constantly gurgles and burbles between words. Air Tikkis in Airman's empire are called "Cloud Climbers". Lighting Lords are called "Roto-Chimps" - half monkey, half helicopter. They ride Thunder Chariots. They fire tiny missiles at Megaman. Pipi's are called Bomb Birds. Airman is the scariest robot Megaman has seen until this point. His mouth especially, taking in and gushing out air. He's said to look like he;s made of clouds; as he moves wisps of fog evaporate off his pointed shoulders. Megaman uses his Metal Blades to kill Airman. In the games they do not damage him. 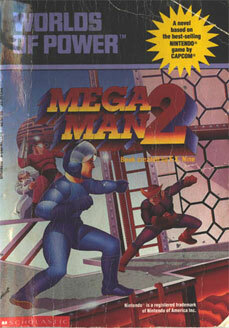 The Jet-Ski (Item-2) belonged to Airman before Megaman destroyed him (although it wasn't used). Megaman takes it after beating Airman. Prop-Tops are named correctly. Although they are described as giant boxing gloves with propellers attached to their heads. When it gets close to MM, it punches him with a long arm and huge fist. Tellys are named Pipe Bombers. Tronic Gliders are the lifts you ride on in the beginning of Crashman's level. They're on circuit boards in the book. Crashman is dressed in a red helmet and boots. He holds a bomb in each hand and waves them about like a western gunsliger. His weapon is the Crash Bomber. Mega Man wears a special supersecret" backpack in order to carry all his weapons and tools.he stores the Jet-Ski in here. The Jet-Ski floats on a cushion of air. It screeches to a halt in front of a brick wall rather than ramming right into it (as in the game). Heatman looks like an ordinary robot, but the air around him is very hot.He has a box around him with a huge lid he can hide behind like a turtle. No mention is made of the word "zippo." "The Atomic Fire" is the weapon that Heatman uses to shoot fireballs at Megaman. Drums echo in Woodman's jungle. Robo Rabbit is named correctly. It also says "what's up, Doc?" Bubble Bats also named right. Ditto Mecha Monkeys. Mega Man swings on a vine in Woodman's level to get back to the ground. Woodman's leaf shield is accurately described in the book, only the leaves fly directly at Megaman and don't fall from the ceiling. Woodman is being made of wood and carrying on like a beast. Metal Blades had no effect on Woodman! Quickman's world is described as silent with huge machines. 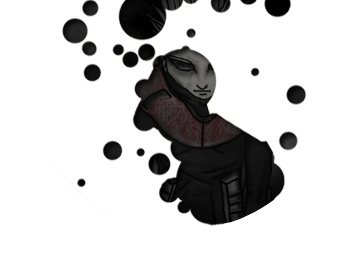 The spring enemy is described as a giant jack-in-the-box. Hot Head is correctly named (for the manual names, at least), but is described as wearing a tuxedo. Megaman uses the Time Stopper to get past Quickman's Beam trap. Quickman is four feet tall. There are thousands of blades whirling on each Quick Boomerang. Megaman uses the Crash Bomber to destroy Quickman. Wily lives in the Castle of Evil. He has placed electronic barriers around it to prevent communication. Sniper Joes are left unnamed, but are described as wearing a special kind of uniform. Megaman does indeed finish the Dragon off with Quick Boomerangs. They skip the wall boss. Guts-Dozer is correctly named, but no mention is made of Gutsman. It's impervious tot he Quick Boomerang. Although there's a scene where Megaman blasts away doors using the Crash Bomber, they reveal teleporters for the boss rush. The infamous Orb Room is not present. The backup robots are described as "clones." Megaman faces the "alien mutant" as in the game. He grabs Bubble Lead as the first weapon at hand. In the end, Megaman refuses a chance to become a robot again (Light asks him if he wants to) electing to remain human. He explains that he likes having feelings (as opposed to the lack of feelings he had as a robot). The end has Megaman walking through the village Dr. Light's lab is located in (as per the game's end). FYI, the book's order is: Metal > Flash > Bubble > Air > Crash > Heat > Wood > Quick and the book recommends that order. It also makes a number of mistakes, however it's pretty clear that the author played through the game ... unlike some other licenced properties. The stages, for the most part, even line up with the actual levels (even if they leave things out). For about half the book the author just makes up names for the various enemies, but in the other half he follows the game's manual. It also seems like Megaman actually uses a gun, as in the game's box art (but unlike the book's cover art, where it's airbrushed out). As a book it's very much for kids. Kids who've already played Megaman 2, because they'd actually be able to follow the story relatively easily. All in all it's a rather nice addition to Megaman obscurity. Read the Megaman 2 Book!